If this group of 100 B2B sales professionals is anything to go by, then only a minority of sales people have a full understanding of how their customers buy. Indeed, when it comes to knowledge of buying many sellers are getting an F grade. Is Buying Process A Mystery? The gaps in buying knowledge are greater in some areas than others. 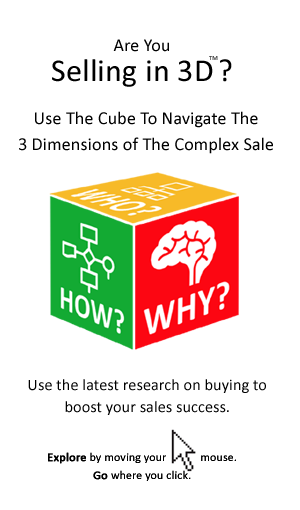 For example sellers find it twice as difficult to describe the buying process as they do some other aspects of buying. Clearly, buying process is something new and unfamiliar for many sellers. Even those who say they understand the buying process, struggle to describe the steps that it contains. Indeed, only rarely do salespeople get to see the steps of the buying decision – less than 5% have ever seen a buying process from a customer, or prospect. Something similar applies in terms of the business case – only one or two had seen their customer’s numbers. On the other hand sellers find it relatively easy to answer questions regarding WHO will make, or shape the buying decision. This suggests that selling is focused more on the people, and less on the buying process, or the buying logic (i.e. business case). This is important, as it underlines a key shift in modern buying – the fact that those previously empowered to make the buying decision are now subject to the rigours of buying process and the business case. All this means that by focusing on the people, to the neglect of the rules and logic they must follow, sellers are inevitably going to face surprises. 1. Do you have a full understanding of the steps your customer is going to follow in order to make a decision? 2. Do you fully understand the business case of your target customer? 3. Are you typically selling to more than 3 people in target accounts? Ignorance of Buying Is Not Bliss! When it comes to selling ignorance of buying is not bliss. Any gaps in buying knowledge must inevitably impact on win rates, as well as the ability to accurately forecast what deals will close and when. 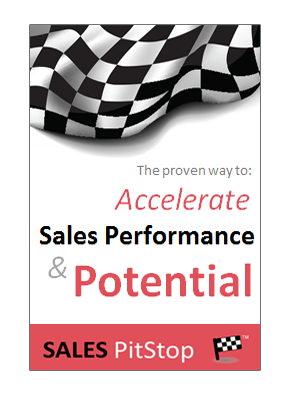 Sellers must become students of buying and until these worrying gaps in knowledge are addressed our sales training courses and sales books should focus on buying, as much as on selling. Buying process in particular is a top priority for the seller’s curriculum. Try Walking A Mile In The Buyer’s Shoes!